Almost every student who has attended law school in the past 40 years has encountered Ronald Coase and the Coase Theorem. Even professors who disagree with Coase feel compelled to expose their students to his famous theorem, even if only to rebut its argument. As a long-time teacher of both Torts and Property who is not an advocate of law and economics, I cannot imagine teaching either course without references to the Coase Theorem as a way of evaluating the correctness of legal rules. In a nutshell, Coase, widely acknowledged as the founder of the law and economics movement, posited that in a world without transaction costs, individuals would bargain with each other to achieve the most efficient use of resources, and legal rules would be irrelevant. As a consequence, in a world with transaction costs, Coase seemed to suggest that legal rules should be constructed so that they favor the most efficient user, since that is the party who will eventually end up with the resource . The Coase Theorem was presented to the world in a 1960 article entitled, The Problem of Social Cost, which appeared in the Journal of Law and Economics and is still the most frequently cited law review article in history. 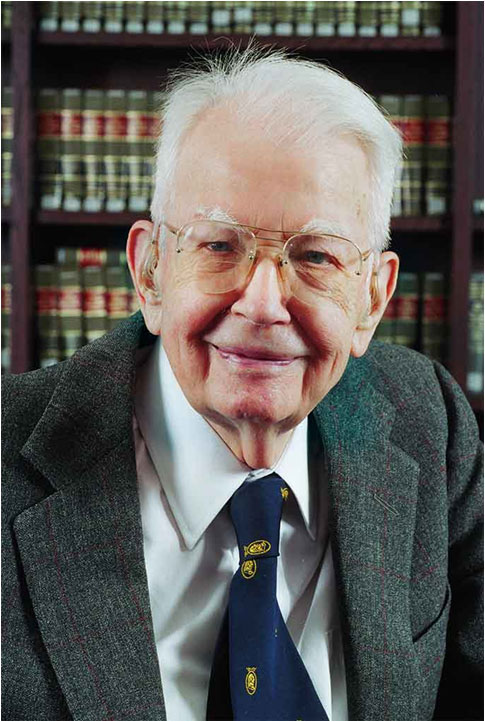 Sadly, Robert Coase died last week in Chicago at the age of 102. Born in London and educated at the London School of Economics, Coase first achieved widespread recognition in 1937 with the publication of his article, The Nature of the Firm, which introduced the concept of transaction costs and explained why large economic deals were handled by large integrated firms rather than by temporary market-based alliances of suppliers. Coase came to the United States in 1951 as a professor at the University of Buffalo, and moved to the University of Virginia in 1958. He was a member of the University of Virginia’s Thomas Jefferson Center for Political Economy when he published his most famous article. In 1964, he left Virginia for the University of Chicago, where he remained until his death. Coase was awarded the Nobel Prize in Economics in 1991. His final book, How China Became Capitalist, was published in 2012 when Coase was 101 years old.